Central Ohio Home Inspector is New President of ASHI | My Buyer Broker Advocate! Great article in this past Sundays, The Columbus Dispatch newspaper about home inspections. “Inspector aims to open eyes”. Local home inspector, David Tamny of Professional Property Inspections will be the new president of the American Society of Home Inspectors (ASHI). David has been a home inspector on our company approved list for nearly 13 years. His company web site is also on my blog roll link on left. David is a very competent home inspector. Suprisingly, home inspectors in the state of Ohio are still not licensed. Home buyers have to be very careful when selecting a qualified home inspector. A good option for home buyers to find a qualified home inspector is to check and see if the inspector is a member in good standing with one of the two big professional trade associations. National Associaton of Home Inspectors (NAHI) and American Society of Home Inspectors (ASHI) are the two largest home inspector trade associations in the United States. David Tamny will be the new incoming president of the 5,800+ member AHSI. Make sure you take a second to read the article link on home inspections. It is great information for possible home buyers. 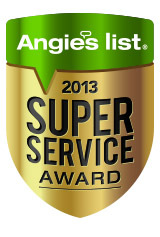 ASHI is generally recognized as the leading professional organization in the home inspection profession. Andrew, thank you for your comment. Every homebuyer should look for an ASHI or NAHI inspector. With the first time home buyers exemption still out there – I would imagine we have the right guy for the job. « Joshua Homes Calling It Quits!